Aftermarket Toro Lawn Mower Belts at Discounted Prices and $7.95 Flat Rate Shipping. This Belt Replaces Toro 1594 and Fits Models: TORO 48" cut, 3 blade side discharge. - Application: Blade - Length: 107 1/4" - Width: 1/2"
Belt Replaces Toro / Wheel Horse 6738 - Fits Models: TORO 42" cut, 3 blade side discharge - Application: Lawn Mower Blade Belt - Length: 86 1/8" - Width: 1/2"
Belt Replaces TORO / WHEEL HORSE 102741 - Fits Models: TORO 36" cut, 3 blade side discharge - Application: Lawn Mower Drive Belt - Length: 96 1/2" - Width: 1/2"
Aftermarket Belt Replaces TORO / WHEEL HORSE 102742 - Fits Models: TORO 42" and 48" cut, 3 blade side discharge - Application: Lawn Mower Drive Belt - Length: 103" - Width: 1/2"
Description: OEM SPEC BELT - TORO / WHEEL HORSE / 111178 - Replaces (OEM): TORO 111178 - Fits Models: TORO deck model 05-375CDI on 300 and 400 series - Application: Lawn Mower Deck Belt - Length: 140 1/2" - Width: 1/2"
Belt Replaces Toro 51628 / 517435 / 517438 - Length: 40" - Width: 3/8"
Belt Replaces Toro 25-6430 - Fits Models: TORO S-200, 200E, 620, 620E and CR20 - Application: Drive - Length: 33 1/4" - Width: 9/16"
Belt Replaces Toro 26-9670. Trans drive - 36", 44", and 52" commerical. - Length 40" - Width 1/2"
Belt Replaces Toro 26-9671. Deck Belt for PRO LINE mid range walk behind lawn mowers. Length 39-7/16" - Width 1/2"
Belt Replaces Toro 37-9080. 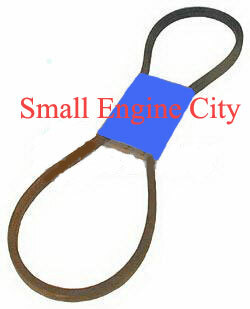 Snowblower Belt - Fits Models 421and 521. 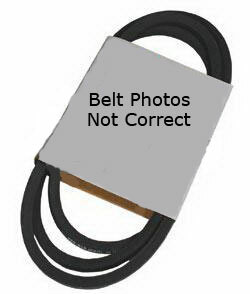 Length 29-5/8" - Width 3/8"
Belt Replaces Toro 42-0884. Blade Brake Belt. Fits Homeowner models 20624, 20684 and 20695. 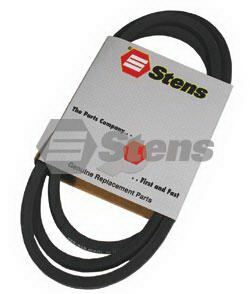 Length 23-58/64" - Width 1/2"
Belt Replaces Toro 44-6260 - Fits Models: TORO Groundsmaster 62 - Application: Deck - Length: 123 1/2" - Width: 1/2"
Belt Replaces Toro 51-4290 - Fits Models: TORO Piston Grip 30115 and Pro-Line 30165, 30117, 30170, 30175 and 30180 - Application: Wheel Drive - Length: 51 3/4" - Width: 1 1/4"
Belt Replaces Toro 53-9660 and 106-4383 - Fits Models: TORO 72" Groundmaster models - Application: Drive - Length: 43 1/2" - Width: 1 1/8"
Belt Replaces Toro 54-2750 - Fits Models: TORO Pro-Line 30117, 30136, 30144, 30165, 30170, 30180, 36" and 44" cut - Application: Engine to Deck - Length: 70" - Width: 5/8"
Belt Replaces Toro 55-9300 - TORO CCR2000 snowthrowers Simplicity single stage snowbuster 220 manual and electric - Application: Single Stage - Length: 34 1/2" - Width: 9/16"
Belt Replaces Toro 69-6220 and 93-8457 - Fits Models: TORO 72" Groundmaster and 580D models - Application: Main Drive - Length: 137 - 5/8" - Width: 5/8"
Belt Replaces Toro 57-0240 - Fits Models: TORO 72" cut Z Master and commercial liquid cooled Groundsmaster - Application: Lawn Mower Deck Belt - Length: 146 1/2" - Width: 1/2"
Belt Replaces Toro 5-4505 and 61-3400 - Fits Models: TORO 21" self-propelled side discharge models for Fiesta, Guardian 21" and Whirlwind models - Application: Lawn Mower Drive Belt - Length: 31 1/8" - Width: 3/8"
Belt Replaces Toro / Wheel Horse 71-5381 and 71-5380 - Fits Models: TORO CCR1000 snowthrowers - Application: Drive - Length: 34 1/2" - Width: 3/8"
Belt Replaces Toro 82-4110. Pump Drive Belt for Hydro walk-behind, 36", 37", 44", 52", and 62" Models. 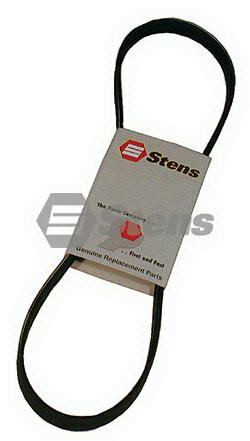 - Length 47-1/8" - Width 1/2"
Belt Replaces Toro / Wheel Horse 88-6250 - Fits Models: TORO 38" deck, model 71191 - Application: Lawn Mower Blade Belt - Length: 87 1/4" - Width: 1/2"
Belt Replaces Toro 91-2258. Lawn Mower Drive Belt for 22" Mowers. Length 35" - Width 3/8"
Belt Replaces Toro 99-3904 - Fits Models: TORO 52" Z Master - Application: Lawn Mower Blade Belt - Length: 158 1/2" - Width: 5/8"
Belt Replaces Toro 99-4627 - Fits Models: TORO 72" Z Master - Application: Lawn Mower Engine to Deck Belt - Length: 147 1/2" - Width: 5/8"
Belt Replaces Toro 99-4647 - Fits Models: TORO 62" Z Master - Application: Lawn Mower Engine to Deck Belt - Length: 142" - Width: 5/8"
Belt Replaces TORO 105-8783 - Fits Models: TORO Z Master Z500, Z528, Z553, Z555, Z557, Z558,Z560, Z587L, and Z588E; 60" decks - Specs: Application: Lawn Mower Deck Belt - Length: 242" - Width:5/8"
Belt Replaces TORO 112-0317 - Fits Models: MTD 820 thru 849 with 46" side discharge H deck TORO 13AX60RH744 - Specs: Application = Lawn Mower Blade Belt - Length:79 1/4" - Width:1/2"
Belt Replaces TORO 112-0332 - Fits Models: TORO LX500, GT2100 and GT2200 2005-2006 - Specs: Application: Lawn Mower Deck Belt - Length:134" - Width:5/8"
Belt Replaces TORO 112-5800 - Fits TORO LX420 2006 - Specs: Application: Lawn Mower Deck Belt - Length:109" - Width:1/2"
Belt Replaces TORO 112-5834 - Fits Models: 2006 TORO LX460 - Specs: Application: Lawn Mower Drive Belt - Length:90" - Width:1/2"